Despite her pedigree, politics has not been a cakewalk for Vasundhara Raje, who is seeking re-election in Rajasthan against all odds. The 65-year-old faces her toughest political challenge yet -- reversing the trend that no ruling party has been voted back to power in Rajasthan since in 1993. Many would say if anti-incumbency is a phenomenon in Indian politics, two states are the proof -- Rajasthan and Kerala. This is Vasundhara Raje's second shot at changing the trend after 2008 polls, which she lost to the Congress. Her defeat would mean a huge blow for the BJP in the heartland, just months before the 2019 national election. The four-time member of the Rajasthan assembly and five-term parliamentarian is not known to be risk-averse. 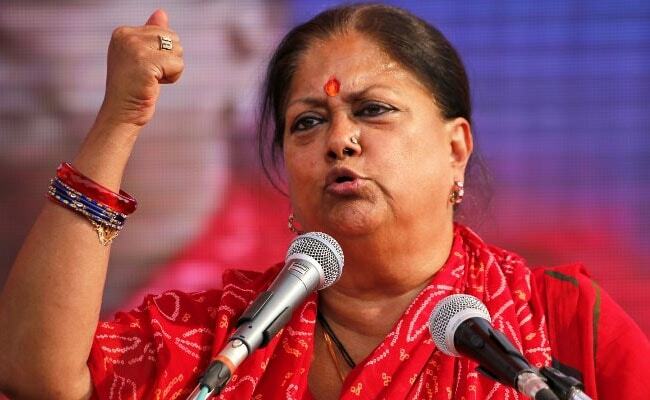 She is perhaps the BJP's most popular leader in Rajasthan after Bhairon Singh Shekhawat. That the charismatic but fiery Ms Raje is a "Maharani", is nothing unusual in Rajasthan, a state famous for its forts and grand palaces and innumerable local royal families. The daughter of a former Maharaja, she married a former ruler of Dholpur in the state. 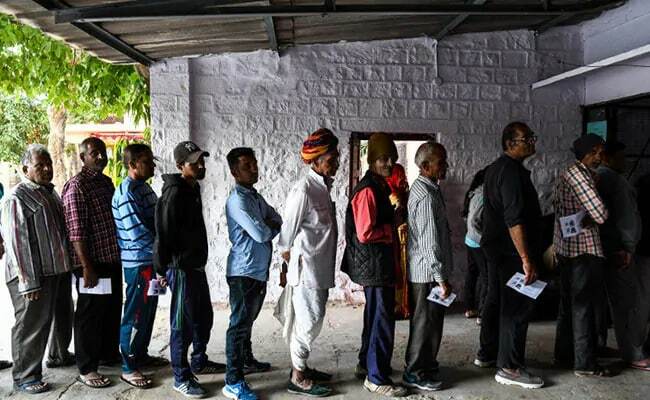 As a former royal-turned-politician, she is not an uncommon breed in Rajasthan, where royal families going back centuries have flourished in democratic politics after independence. After nearly 12 years of marriage, Ms Raje joined the BJP in Rajasthan in 1984. But her initiation into politics took place years before, when she travelled with her mother Vijayaraje Scindia, who was a member of the Bharatiya Jana Sangh and was a founding member of the BJP. Her brother Madhavrao Scindia (who died in a chopper crash in 2001) was in the Congress, and so is his son Jyotiraditya Scindia. Ms Raje was asked to contest state elections the next year, from the Dholpur seat. She won, and gained strength in the party. In 1989, she was asked to contest the Lok Sabha elections from Jhalawar constituency in Rajasthan. She won the seat easily, and repeated that feat in next four Lok Sabha elections. During the BJP-led National Democratic Alliance government of Atal Bihari Vajpayee, Ms Raje was made junior foreign minister. In 2003, the BJP gave its "Maharani" a new challenge -- to lead the party's campaign for state polls in Rajasthan. She took on every challenge and aced it, but is yet to break Rajasthan's "revolving door" loop. This time, her government's handling of caste protests and the lack of jobs has left voters disenchanted. She is also seen to have alienated herself from the most influential caste groups. Critics dwell on her style of functioning; many see her as aloof and autocratic and out of touch with ordinary people. Yet, as she campaigns for her party, the "Maharani" of Dholpur, in her leheriya and bandhni chiffon saris, still remains a big draw for the crowds.